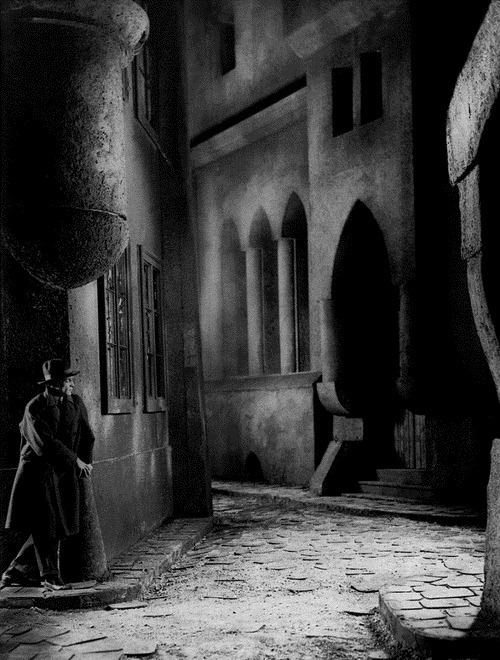 Architecture | Based on truth (and lies). 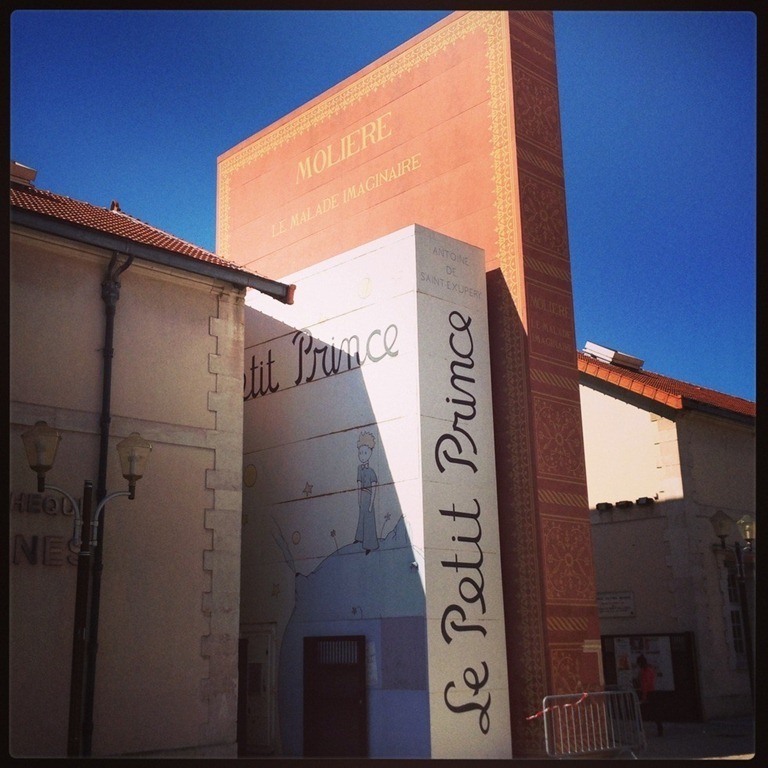 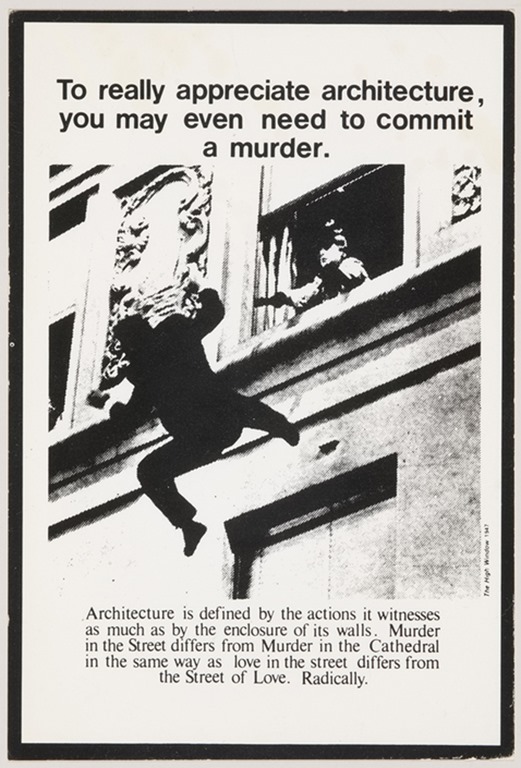 “To really appreciate architecture, you may even need to commit a murder,” or so Bernard Tschumi famously said. 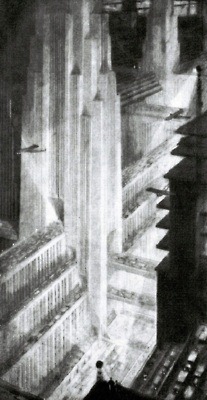 This image from his book Architecture and Disjunction pretty much haunted my thoughts and dreams as an undergrad. 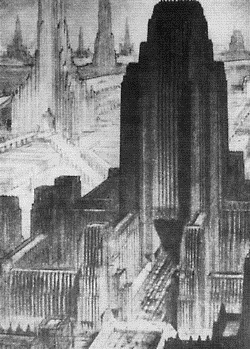 Located in the heart of Toronto’s financial district, the Toronto Dominion Centre symbolized Toronto’s emergence as a major city and established a new standard for office buildings in Canada. 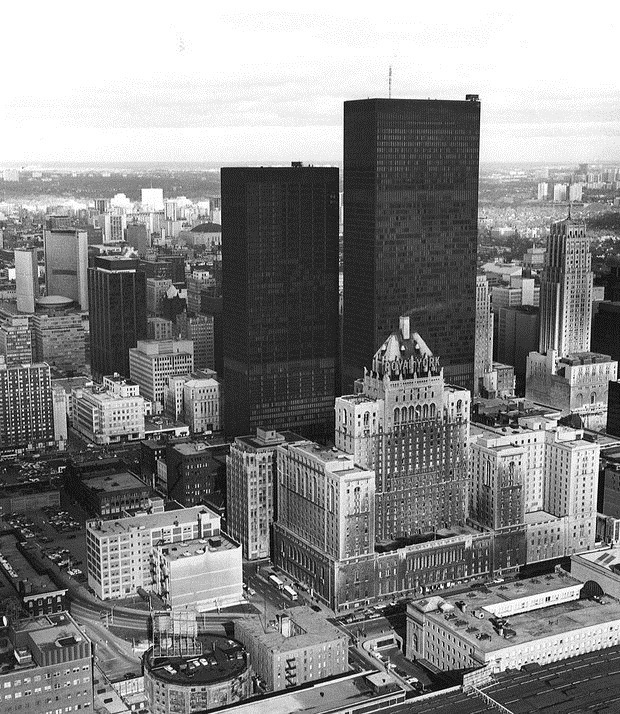 The Centre launched in 1967 with the Toronto Dominion Bank Tower, designed by Ludwig Mies van der Rohe with B+H as Architect of Record in Joint Venture with John B. Parkin and Associates. 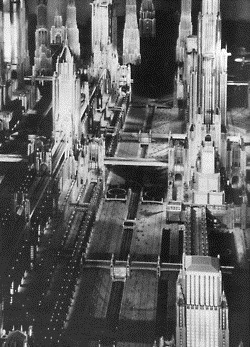 Designed by art director Stephen Goosson, the city set was an elaborate miniature model that covered a ground area of 75 x 225 feet and whose tallest tower measured 40 feet. 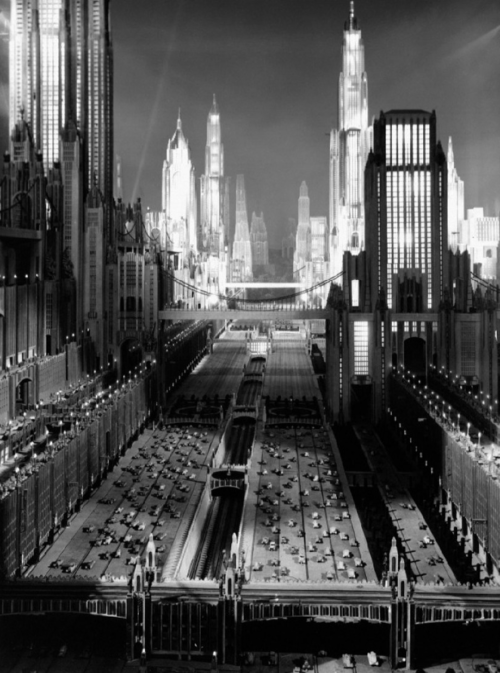 Just Imagine’s New York was primarily inspired by architect Harvey Corbett’s prediction that 1970’s New York would resemble a “very modernized Venice” and by the futuristic urban designs presented in Hugh Ferriss’s 1929 book, The Metropolis of Tomorrow. 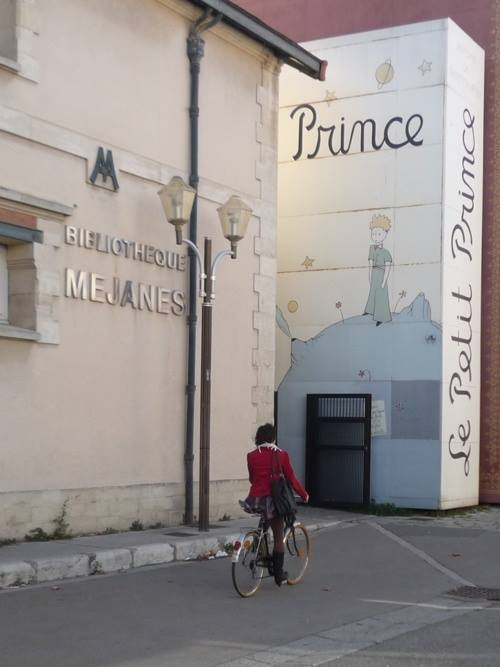 The opening scenes of the (otherwise mediocre) film, which feature this cityscape, can be seen here. More on the building of the Just Imagine set. 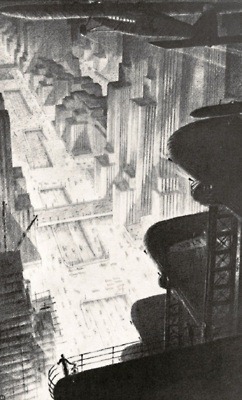 Collection of Hugh Ferriss’s futuristic city sketches here.